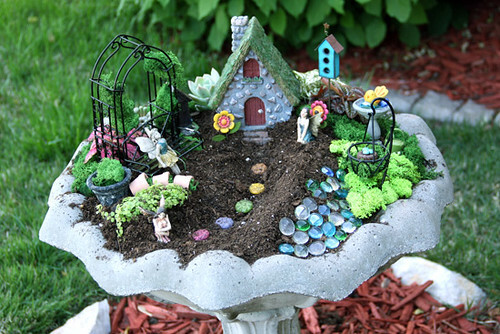 There is no doubt that fairy gardens are beautiful and eye-catching. 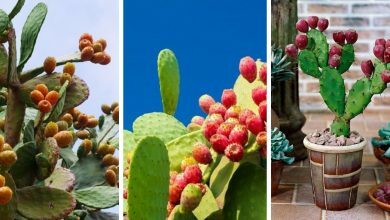 They are an alluring addition to any garden. 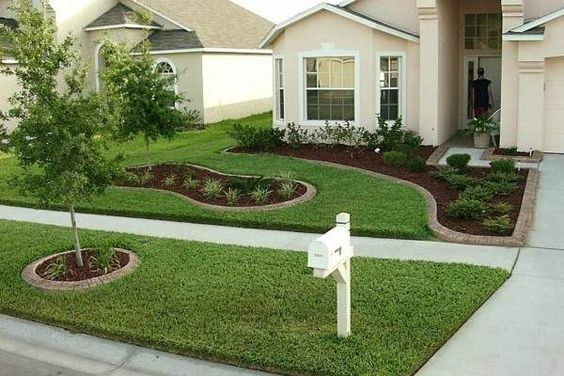 They draw attention to how attractive and charming your garden is. 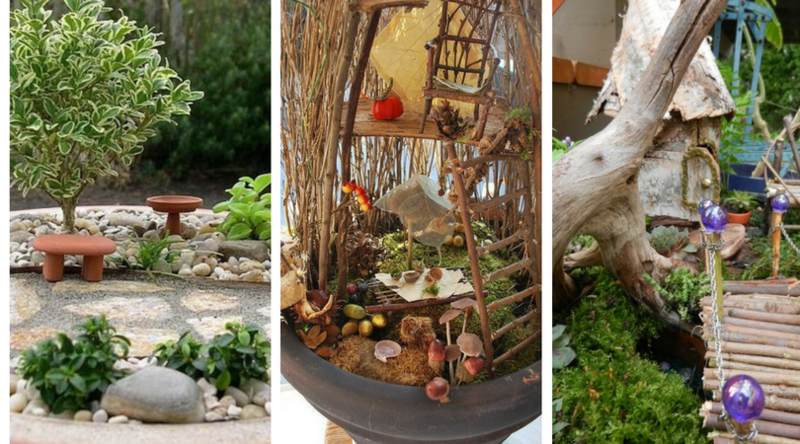 Don’t worry whether or not you have an adequate space to create a fairy garden, they are small enough fit basically anywhere. 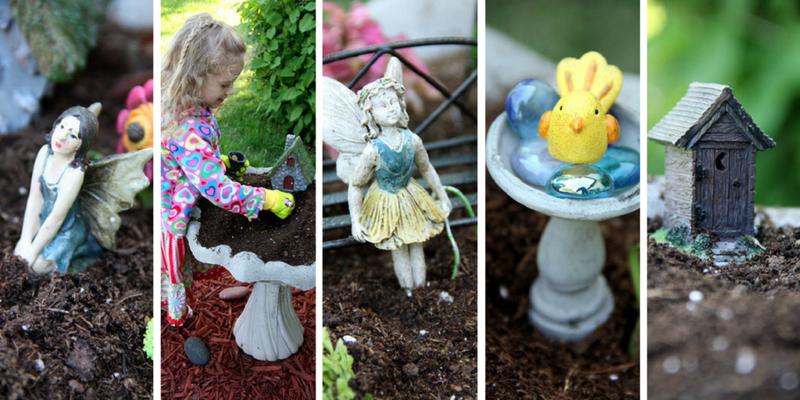 Go ahead an take a look at this guide to learn how to make an inexpensive fairy garden. This is the place that I chose to build my inexpensive Fairy Garden. I used to plant succulent here but I decided to start planting succulents indoor in containers i. 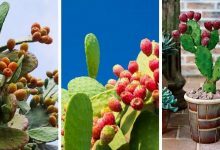 If you wish to learn how to plant decorative succulent, follow this guide. 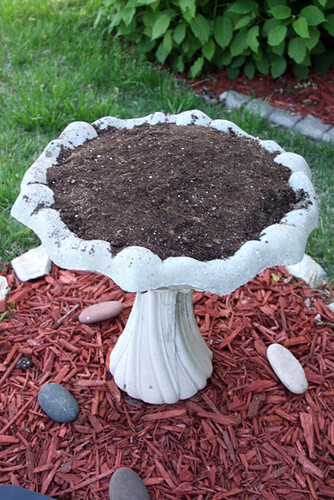 I thought that this birdbath would be an ideal place for an inexpensive fairy garden. 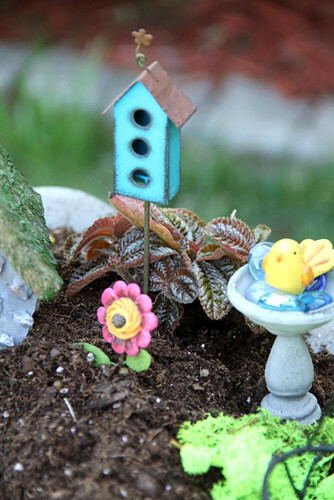 You could choose any planter to create a fairy garden. However, whatever container you choose, make sure you drill holes into the bottom of it so that water can seep out gradually and it won’t overflow. 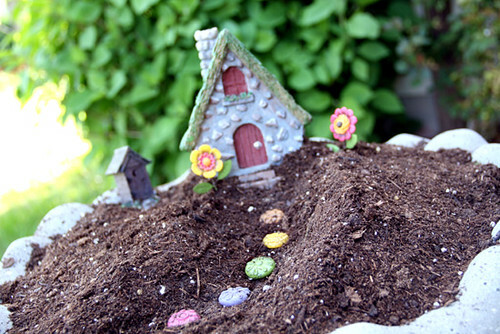 Use some potting soil and form sort of a mound on top of the container so that you can make little hills and such for the Fairy Garden. You don’t want it to be entirely flat or it won’t look very interesting. 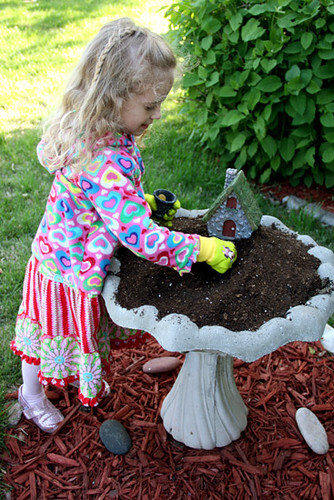 Building a fairy garden is not just a beautiful addition to your garden but it is also a way to spend some time with your kids. 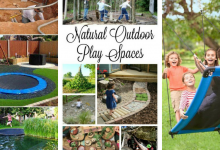 It is a fun a process and kids love to be engaged in any fun activity. This could be their first DIY lesson. This is an illustrative example to show you that the dirt should not be flat. 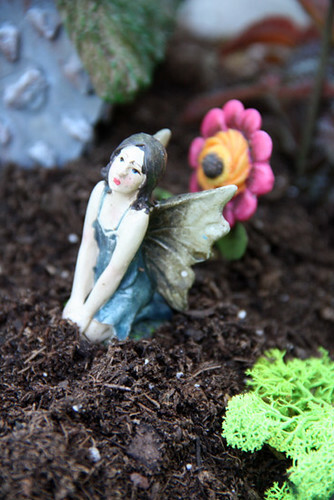 This is not only for aesthetic reasons but also to give your fairy garden a realistic touch. 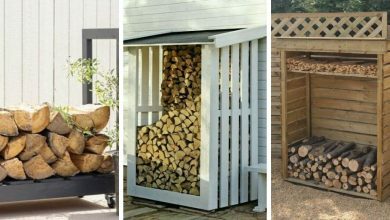 For your fairy garden to be well organized and in harmony, you should start by placing your house, pots, and benches first. 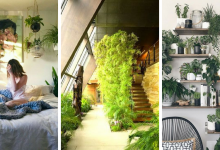 Always plant your furniture and decors first. It helps space things out. 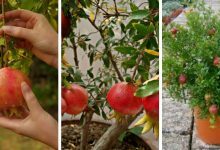 Then you should plant your decorative plants. 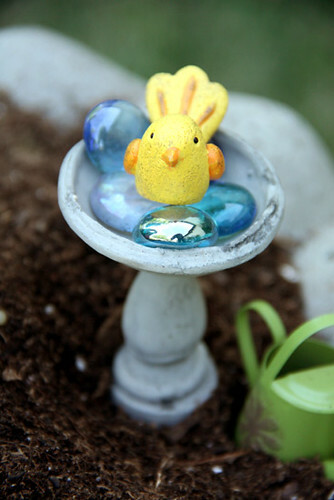 To decorate the birdbath, use some stones. I used these blue stones because they were already available around the house. 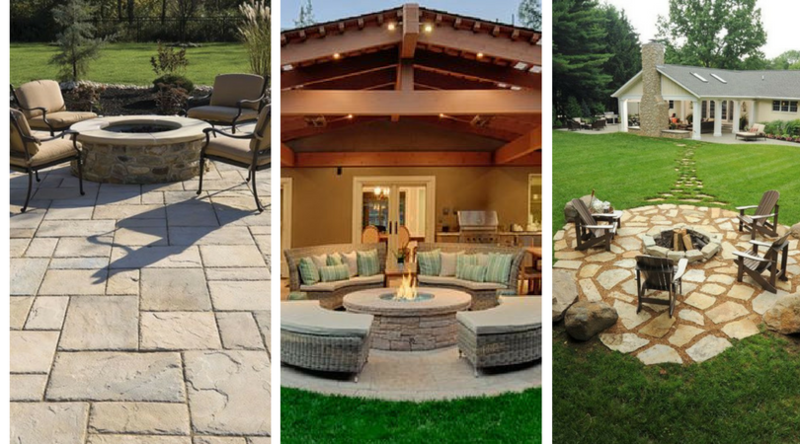 You could find and purchase more beautiful stones or you could just use the ones around your house. 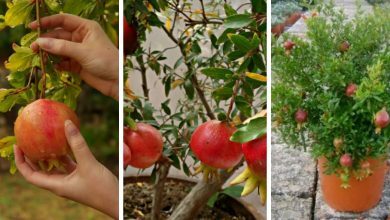 In fact, all the decorative items you need could be found in your local nursery store. This outhouse is my kid’s choice. 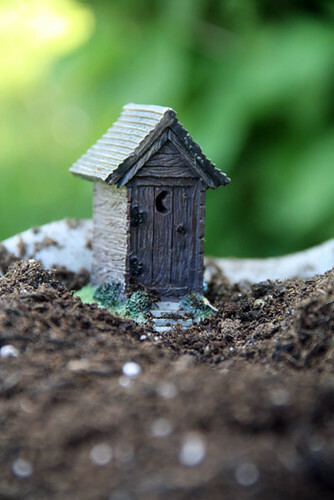 You don’t need to add an outhouse to have a beautiful inexpensive fairy garden. I added because my kid insisted. However, you could add any accessories you like. I bought the terracotta pots from the dollar store. I have never thought that someday i will use them but I did. 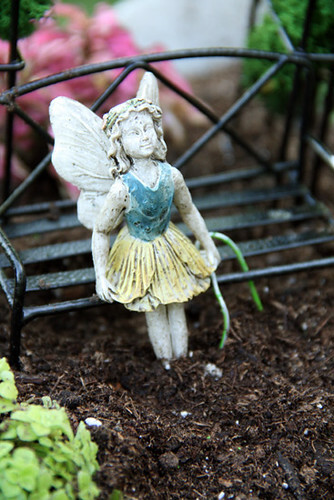 If you have any small item that you haven’t used for a while, perhaps it fits right in your fairy garden. It is logical to place the fairy on the bench. However, some people rather hanged. It is more difficult but certainly more impressive. This is a cheap fairy. Although it looks beautiful, it basically costs nothing. You could also add a birdhouse next to the birdbath. They blend well together. 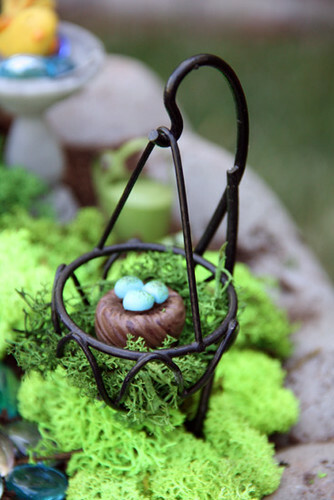 This is another decoration to add to your fairy garden. 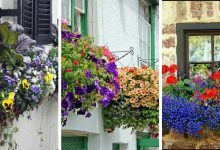 Hanging baskets are always an excellent addition to any garden whether it is a fairy or not. 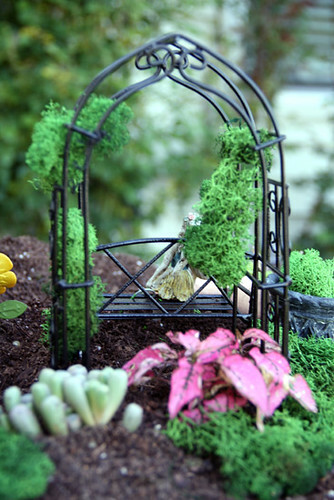 I also added an arch to my fairy garden because I have always thought that fairies like to be around arches. Now your fairy garden is set and ready. It is an expensive but beautiful fairy garden. 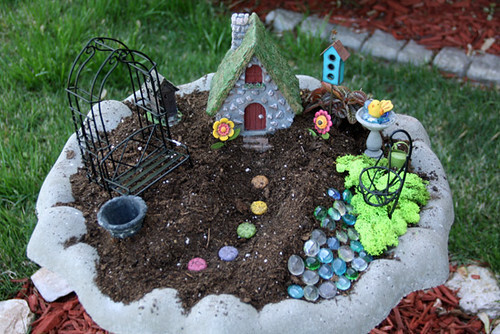 Fairy gardens are the best decoration for gardens. 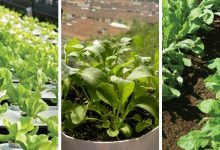 They are a beautiful centerpiece for any garden. 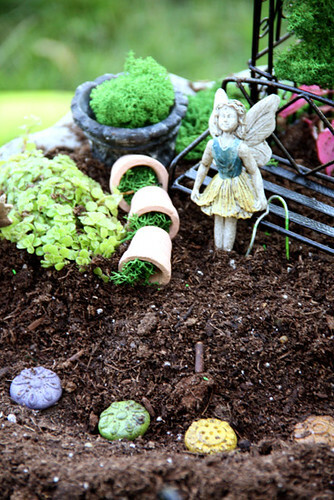 It is not hard neither challenging to create an inexpensive fairy garden. They are so small that they could fit into any container. You should definitely build your own. 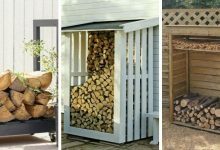 If you want to see more decorative ideas for your garden, click here. Please show us your support and share our posts. 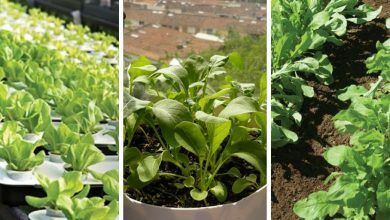 Thank you and enjoy gardening!